"Twitter has shut down Libim's accounts several times and each time he starts a new one he gets thousands of followers very quickly, which is typical of an influential [IS] affiliate," Charlie Winter, researcher for the QuilliamFoundation, told the newspaper. "We will conquer Rome, by Allah's permission,” he says in a Sunday video depicting the beheading of 21 Egyptian Christian guest workers, the video that led to Egypt organizing a bombing campaign on militant positions in Libya. He also describes the country as having “immense potential” for the terrorist group, while making references to the spoils of war left after the ouster of Colonel Muammar Gaddafi in 2011 – tons of weapons, ammunition and oil. Security bells are ringing, especially in Italy, which saw 2,164 illegal migrants rescued in the space of 24 hours over the weekend. It could now be faced with many that are terrorists, according to Egyptian Ambassador to London Nasser Kamel. "Those boat people who go for immigration purposes and try to cross the Mediterranean ... in the next few weeks, if we do not act together, they will be boats full of terrorists also." Just as these assessments came to light, Italy issued its own statement, outlining just how great a risk there is of Libyan militants merging with the IS. On Wednesday its Foreign Minister Paolo Gentiloni spoke of an "evident risk" and that time for Libya was "running out". He called for "a change of pace" from the international community. 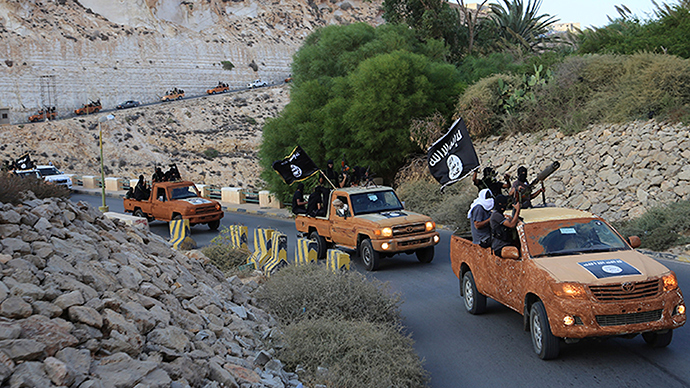 "In terms of the demographics of [IS] support in Libya, we see a lot in common with its base of support in Iraq and Syria – many of its fighters are young, disfranchised men who have only bought into ISIL's brand of Islamist zealotry because they are looking to forcibly empower themselves in the penetrating absence of the state,” Winter explains.